Located in the Las Vegas metropolitan area, North Las Vegas is its own city north east of the big city in the Las Vegas valley. It’s home to several mountain ranges and military installations, and is considered to be one of the best cities in Nevada to live in. 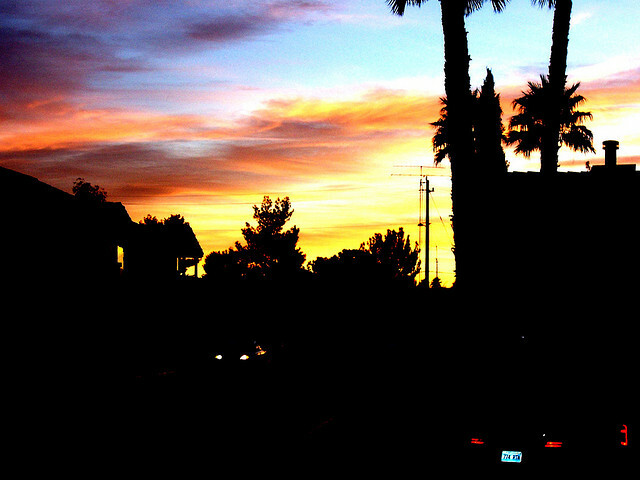 North Las Vegas offers an excellent quality of life that is comparable to the city of Las Vegas, but with a lower cost of living and better crime rates. Plus, its close proximity to Las Vegas means residents can easily take advantage of amenities in the entertainment capital of the world. Experts expect a booming real estate market for the entire Las Vegas area in 2016, and North Las Vegas residents in particular can expect growth, as an electric car maker has chosen the area for a new $1 billion plant that will bring 4,500 new jobs to North Las Vegas. As the North Las Vegas real estate market continues to evolve, residents should work to gain a competitive edge whether they’re buying, selling, or investing in the area. With a qualified, experienced Realtor to support you, you can rest assured that you’ll have the best guidance for navigating the North Las Vegas real estate market. In this list, we’ve highlighted the 15 best real estate agents serving North Las Vegas. They have experience, numerous satisfied clients, and the knowledge you’ll need to succeed in North Las Vegas real estate. We’ve listed the agents in no particular order, but we want to know which one is the best. That’s why we encourage you to vote in our poll over the next 30 days to let us know which North Las Vegas real estate agent you think is the top agent in the area. 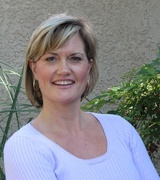 For nearly 20 years, Faith Harmer has been a licensed full time Realtor in the greater Las Vegas area. She is consistently among the top 100 agents in Las Vegas, and holds the Certified International Property Specialist designation, which allows her to help not just local and state buyers and sellers, but those that are working internationally. Harmer specializes in offering a customized service for every particular situation, building on her great customer service, relationships, and negotiation skills. Her clients say she is wonderful to work with, even remotely, and they appreciate her excellent engagement, education, and support throughout the entire transaction. They appreciate her ability to answer their questions quickly and sell their homes as fast as possible. With more than 15 years of experience, Jillian Batchelor is consistently ranked among the top 50 Realtors in the Las Vegas Valley. She has served more than a thousand home owners and sellers. Her dedication to her clients is clear as the works day and night to take care of them. 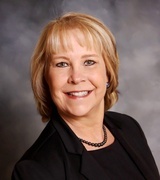 Batchelor is ranked among the top 1% of all Realtors in the Las Vegas Valley, was named one of the most influential women in real estate, was named the #1 Woman Realtor in Las Vegas by Real Trends Magazine, and she is the president of the Las Vegas Women’s Council of Realtors. She also volunteers to help the homeless every Monday evening. Batchelor has a reputation for taking on tough deals, including short sales, and selling homes for more than list price thanks to her aggressive marketing plans and network. Clients say she is knowledgeable, friendly, and has their best interests in mind. They feel at ease and confident with her, and enjoy the entire real estate experience with Batchelor by their side. Loralee Wood is a Realtor with more than 14 years of experience, and is the leading military residential specialist in southern Nevada. She has sold Nevada real estate since 2001, and completes an average of 60 transactions per year. Wood was an active duty Air Force wife and understands the PCSing process, so she is an excellent asset for all military personnel relocating to the area. She holds designations including Risk Reduction Guarantee, Certified Residential Specialist, and Military Relocation Professional. Wood also has experience in foreclosures, short sales, HUD, new homes, and resales. She is proud to be among the top agents in Las Vegas, named in the top 1% of Realtors nationwide and the top three at Coldwell Banker Premier every year. Wood’s clients say she is fair, prompt, and takes care of their needs with ease. They’re impressed with her ability to sell homes quickly, as well as her professional demeanor and excellent network of home service professionals. 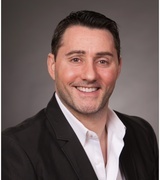 Ehren Alessi is founder and CEO of Resolution Realty. He has lived in the Las Vegas valley for more than 20 years, and has more than 15 years of experience in real estate. His expertise in the North Las Vegas real estate market is unparalleled, as he understands the communities, neighborhoods, and real estate trends. With his hands-on service, clients benefit from effective marketing, aggressive searches, and transactional knowledge. Alessi has sold more than 400 homes, and he has consistently ranked among the top Realtors for home sales as well as Top Listing Agent for multiple consecutive years. His commitment to customer service is evident, as his clients often return to him for repeat business. They say he offers a smooth process and is always knowledgeable and available with regular contact. His patience, constant support, and ability to deliver on results is appreciated. 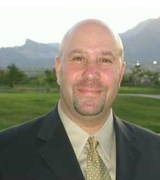 Kirby Scofield leads the King of Casas Team with Realty One Group in both Nevada and California. 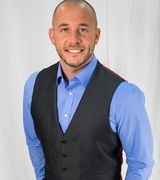 He has five years of experience and specializes as both a buyer’s agent and a listing agent. He also has experience in relocation, foreclosure, and property management. He is dedicated to acting as a concierge for his clients, and his number one goal is client satisfaction. Scofield’s brokerage is multilingual, with services available in English, Japanese, Spanish, French, Thai, Italian, Hindi, and more. Clients say he is quick to respond, gets to work right away, and they enjoy working with him. They say he delivers even in difficult situations including very particular needs for home purchases. 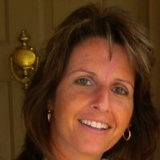 Owner, broker, and Realtor with New Home Resource, Joanna Piette has more than 20 years of experience in real estate. She holds a number of designations in real estate, including Short Sale and Foreclosure Resource, Certified Distressed Property Expert, and Accredited Buyers Representative. Piette is thorough, attentive, and offers quick responses and great communication. Her tenacity and attention to detail make her a truly valuable asset for clients, and she truly enjoys helping buyers find their dream homes. Piette is honored to be named one of Las Vegas’ Top 25 Women in Real Estate in both 2014 and 2015, as well as a recipient of the Best of Silver State Award for Best Real Estate Agent. Clients are thankful to work with her, as she is always on top of everything and makes the process easy. They appreciate her knowledge of the area and of homes, as well as her top notch communication skills. 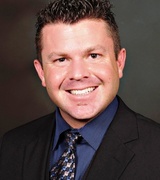 A real estate professional with more than 13 years of experience, Bryan Pellican promises to save his clients money. He has served the greater Las Vegas area since 2002, and has helped more than 3,000 families buy and sell homes in the area with more than $400 million in sales volume. He has been in the top 10 for production in Las Vegas for multiple years. Pellican is so confident in his ability to save his clients money that he offers a $1,500 guarantee if he doesn’t help them save $5,000 on a home purchase — and up to $3,000 at closing if he isn’t able to sell homes for 100% of their market value. Clients trust him for real estate answers and know he will always be there for them quickly when they need him. They appreciate his excellent communication skills, patience, and valuable suggestions. Troy Kearns specializes in Las Vegas real estate as a buyer’s agent and listing agent with interests in relocation and foreclosures. 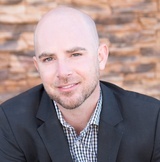 He moved to Las Vegas in 2006, and has nine years of experience in real estate. He has sold more than 2,500 homes in his career. Kearns is dedicated to professionalism, loves real estate, and continually studies the market to be an excellent resource for his clients. He understands all aspects of real estate and is prepared to market your home with the best technology, and use every tool at his disposal to find the right home for you. His clients say he has good knowledge of the local market and excellent negotiation skills. They say he has great patience, and always keeps them updated every step of the way. Kelly Camacho encourages her clients to never make a move without her, as she is an expert in North Las Vegas real estate. She has more than 10 years of experience as a buyer’s agent and listing agent with skills in relocations as well as vacation and second homes. Camacho loves the exciting Las Vegas real estate market, and specializes in military relocations as well as new construction, resale homes, short sales, REO, and condos. Her clients say she goes above and beyond for them, even when dealing with difficult cases. They appreciate her honesty, friendly demeanor, and ability to always be available and there for them when they need her. 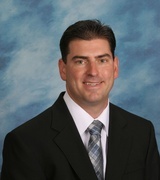 Mark Krempel is a real estate agent with Realty ONE group in Henderson. He has served buyers and sellers in the North Las Vegas area for more than nine years. Krempel is always ready to help with straight answers and full explanations, as well as a great understanding of the real estate market. 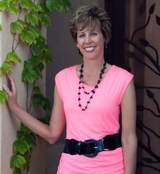 A hometown Realtor, Krempel is a 28 year resident of Las Vegas and knows the entire valley. He provides services for buyers and sellers alike, and is always excited to assist military buyers and sellers. Krempel is also an excellent resource for home improvement and lending, as he has knowledge in these areas and can make qualified recommendations. Clients find the process of buying and selling homes to be easy with the expertise of Krempel, and say he is very knowledgeable about the market and home buying process. They value his intelligent recommendations as well as his availability throughout the home buying and selling process. Mike Gorelick has more than 16 years of experience in North Las Vegas real estate. He has an excellent knowledge of neighborhoods, the North Las Vegas real estate market, and has the experience that home owners value when working in real estate. He is committed to making the real estate dreams of his clients a reality, whether they’re buying a family home or making investments. Gorelick has an excellent reputation in the community, and often enjoys repeat and referral business. His clients say he makes stressful situations easier and they have had great experiences working with them. They enjoy how he makes the process simple, and how he is always available for questions and prompt communication. 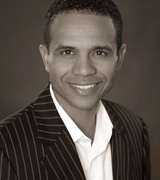 Derrick Stephens is a North Las Vegas Realtor with more than 15 years of experience. He got his start in real estate as an investor, including renovation and gut rehab. Stephens’ experience in real estate includes not just conventional purchases, but short sales and REO. He credits his success to his proactive approach as he works to satisfy his the needs of his customers — whether they’re first time home buyers or experienced investors. Clients value his honesty and knowledge, as well as how hard he works to protect the investments of his clients. They say he is knowledgeable, creative, and gets deals done. A Realtor with Horizon Realty Group, Ken Blumberg serves Las Vegas, North Las Vegas, and Henderson. He has more than 11 years of experience and specializes as a buyer’s agent and listing agent with interests in relocation and foreclosures. He delivers prompt service, and is careful to take the time needed to develop the best strategies for his clients. Blumberg’s designations include Accredited Buyers Representative, Certified Distressed Property Expert, and Certified Short Sale and Foreclosure Resource. He is also a member of the National Association of Realtors. Clients say that he offers prompt communication, dependability, and always keeps them in the loop. They value his knowledge of the area as well as his excellent network in the North Las Vegas area. Carol Crowder is a real estate professional with Coldwell Banker Premier Realty, and has more than 13 years of experience in real estate. She loves to make her clients feel at home in North Las Vegas as she introduces them to the city and all there is to explore. Crowder serves buyers and sellers, and as a military spouse, she particularly enjoys assisting with military relocations. She helps each client navigate the buying and selling process with care, listening to their needs and personalizing each experience. Crowder stays on top of the market as well as new trends in real estate with perpetual learning that helps her serve her clients better. Clients say she is a true expert with an answer for every question or challenge. Overseas clients in particular love her service, as she takes care of them with excellent explanations, immediate responses to questions, and an effort that goes beyond the call of duty. A licensed Realtor in Nevada since 2004, Nathan Robart has more than 11 years of experience in North Las Vegas real estate. 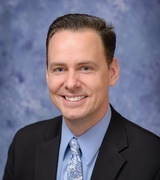 He is a member of Keller Williams in Las Vegas, serving the entire Las Vegas valley and specializing in residential real estate, property management, and commercial real estate. 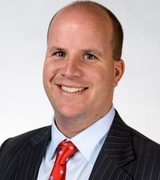 Robart is a buyer’s agent and listing agent, serving his clients with short sales and property management services. He has earned his broker salesperson license, his property management permit, the Accredited Buyer Representative designation, and the e-Pro designation. Clients say he makes the process smooth and easy, even when working on remote transactions. They love that he feels like a friend and makes the entire experience fun.